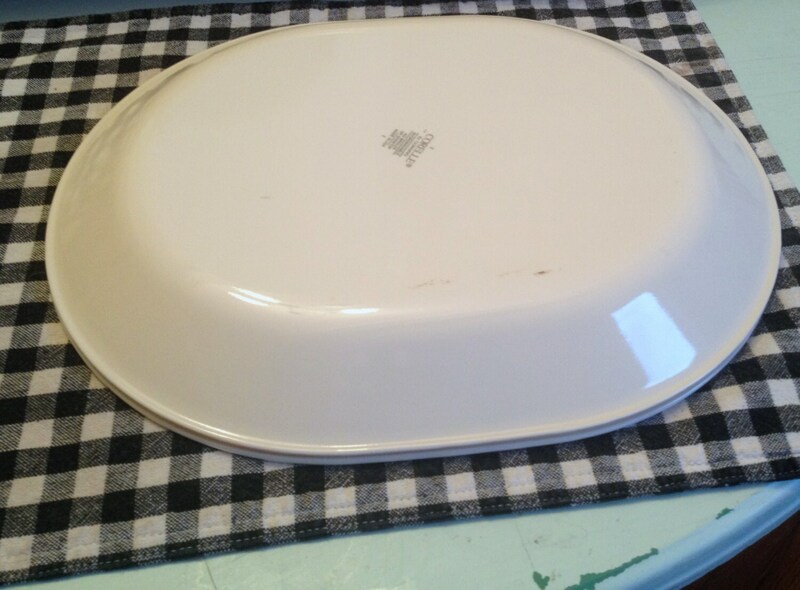 Vintage (early 1990s) Corning | Corelle Abundance oval serving platter. Fruit pattern, maroon accents. 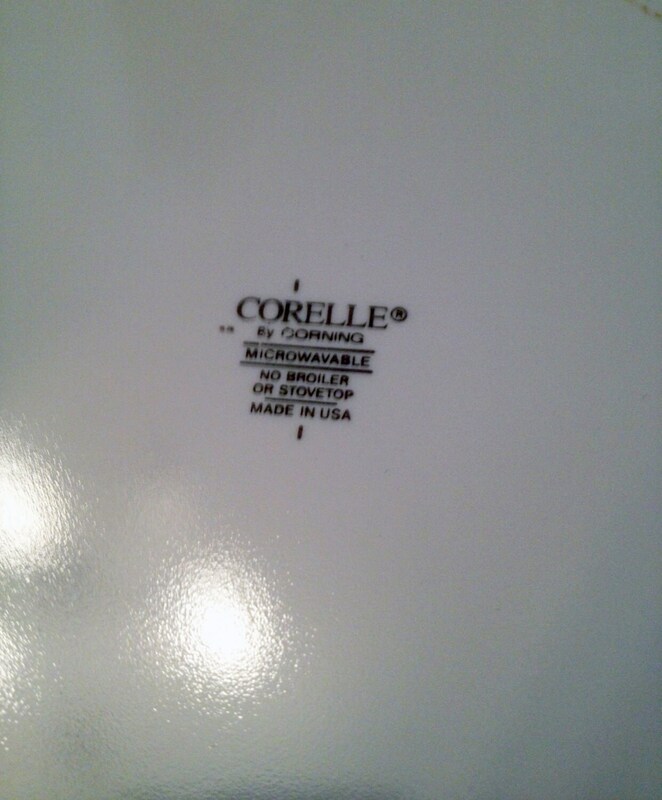 Corelle Coordinates line. Vintage (early 1990s) Corelle | Corning Abundance pattern oval serving platter. 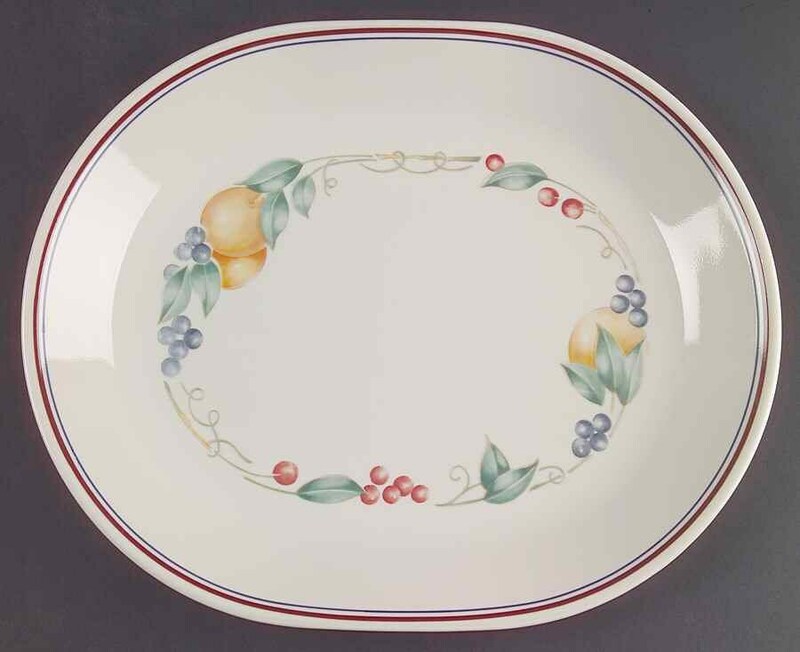 Part of Corelle's Coordinates line, Abundance features fruit and foliage set against a cream-colored ground with maroon and blue bands. In EXCELLENT! and seemingly little-used condition with NO! chips, nicks, cracks, or fleabites and NO! crazing. There are a couple of LIGHT! scuff marks to the REVERSE of the platter (please see photo 4 specifically), but otherwise there are NO! marks or stains. Approximate measurements: 12-1/4" L x 10" across. THIS LISTING IS FOR ONE(1) PLATTER. Currently, more than one platter is available in the shop.